A total of five wool felt sheets are included. 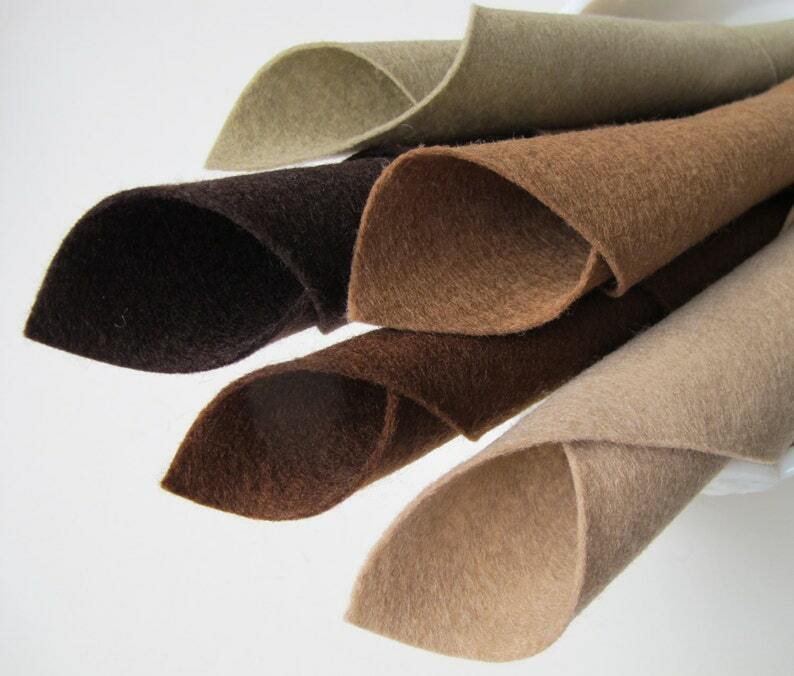 Wool felt sheets measure approximately 8” x 12” (20 x 30cm). Sheets are cut by hand, and sizes may vary slightly. A total of five sheets of merino wool felt. 100% merino wool. Colors as listed above. Wool felt and DMC Embroidery Floss. A total of five skeins, 8.7 yards each. One skein for each of the five wool felt colors shown and listed above. Wool Felt and Wool Stuffing. pincushions, multiple small stuffed toys, ornaments or a small pillow. Imagine the possibilities! Get creative with my color-saturated, soft and natural 100% merino wool felt in a wonderful abundance of colors. This wool felt is free from nasty toxins and chemicals making it perfect for craft projects where only the best wool felt will do. Certified child-safe and ideal for Waldorf projects, needlework, children’s items and so many more creative uses. Felt On The Fly wool felt is color fast, beautifully soft and fade resistant so you are safe in the knowledge that your crafts will stay looking as beautiful as when you first made them and are worthy of the phrase ‘heirloom quality’.